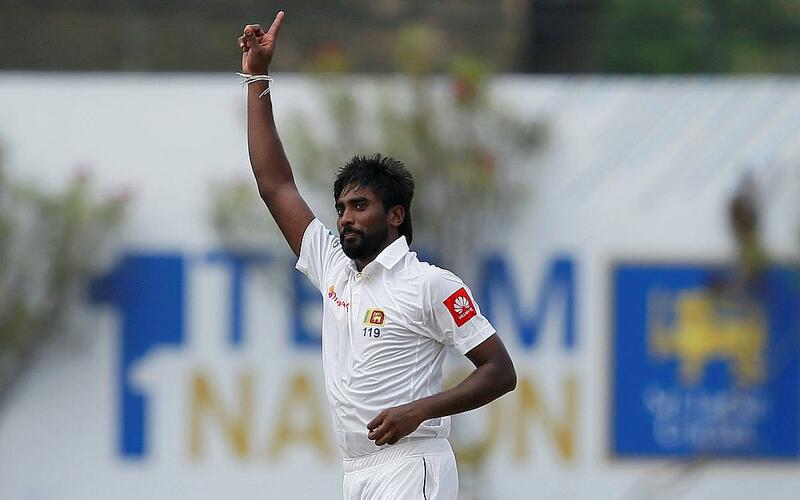 Sri Lanka have suffered another major setback in the ongoing second Test against in Colombo with pace bowler Nuwan Pradeep ruled out of the remainder of the game with an injury. The 30-year-old sustained a hamstring injury during the 81st over on the opening day and was forced off the field. Being the only pacer in the line-up, Pradeep bowled a total of 17.4 overs in which he failed to pick a single wicket. The news has not come at the right time for captain Dinesh Chandimal, who will now have to bank on the spinners and part-timers to help his team bounce back in the game as India reached 442 for five at lunch on day two. Interim Sri Lanka coach Nic Pothas revealed on Thursday that Pradeep is suffering from just muscle stiffness but the official news on him missing the remainder of the second Test came on Friday morning. 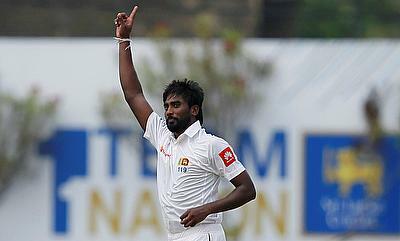 Pradeep was one of the few positives for Sri Lanka in the first Test in Galle which they went on to lose by 304 runs. He claimed a six wicket haul in the first innings of the Galle game but could not prevent India from posting a massive 600-run total.